Amazing fleece on this guy! After Dark is a favorite of spinner's for its ease to spin, high luster, and uniform black color. While his fleece is not super slick and drapey, its characteristics of some slight loft combined with its slick nature give it the ultimate spin-ability. 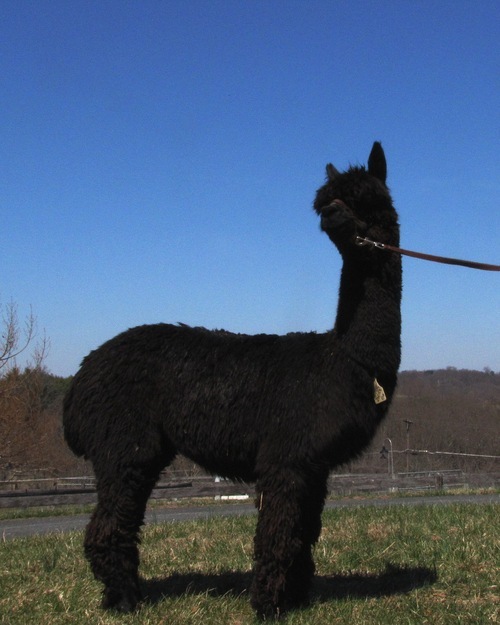 As evidence, he has won 3 Spin-Off Championships and has 4 1st Place ribbons, never receiving less than a 1st in any show!After Dark is a smaller male, weighing only about 125 lbs, but each year he produces almost 6 lbs of beautiful black fiber. He has a very sweet personality, and is a "talker", almost having a conversation with you. We have also used this guy for teasing, and he loves his job! He is easy to handle, and social. Although he is of smaller stature, he holds his own even with other males twice his size! We have not used After Dark much for breeding as we have bred very few over the last 5 years. 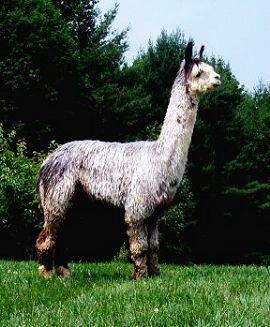 Since he is out of 2 grey parents, it is highly likely that he will produce black or grey offspring with great fiber. He has been bred for a spring 2015 cria, and we are anxious to see the result! 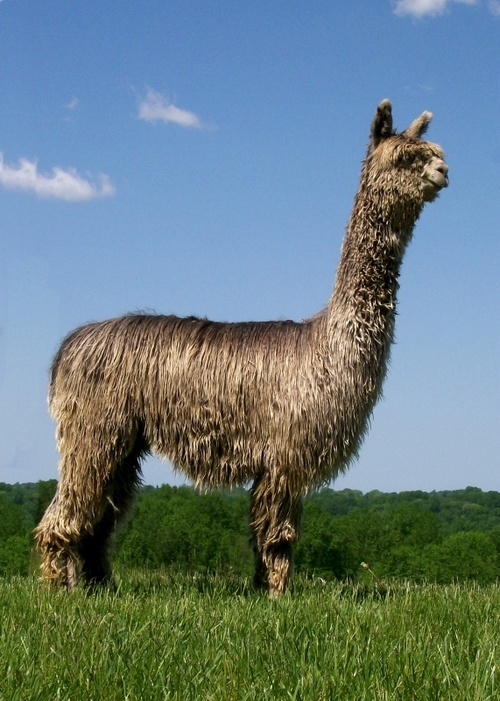 This guy is great to have on the farm, is packed with Champion fiber, and has held his fineness even over the age of 4. 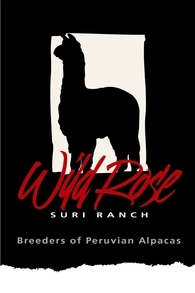 After Dark is always ready and willing to breed, and just a pleasure to have on the farm.